The album begins with the calming "Selah." The Hebrew meaning of the word isn't entirely known, but it has been said to be a musical direction of some sort, possibly calling for a break in singing. That could directly be connected to Emeli's break from music for a while, taking some time to find herself again in her new normal. 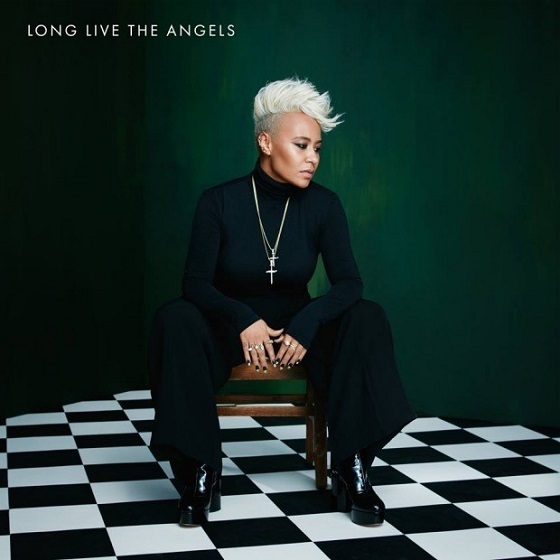 In addition to this song, throughout the album, there are many elements of Emeli's spirituality, from gospel influences on tracks like lead single "Hurts" to direct prayers and questions Emeli sings to God like throughout "Give Me Something," and "Sweet Architect," as she attempts to figure out where her life is headed next. It shows that her own spirituality has strengthened her as she tries to move forward. But don't get confused. This is not a gospel album or even an inspirational album. This is very much an album of someone trying to figure out what the hell does she do now after losing someone who she was with for almost 10 years of her life. From the mellow songs like "Happen" and Emeli reveals how loyal she was and would give anything for her love. Another stand out track, "Garden," featuring Aine Zion and Jay Electronica, shows that their love was passionate and free, but also a safe place. However, when the relationship ended, it broke her. On "Right Now," she knows deep down she'll be okay eventually, but she doesn't want to hear that from her ex or anyone else for that matter. "Don't you dare say tomorrow. I'm talking 'bout right now...who's gonna love me right now?" "Hurts" was perfect as a single because it works well commercially. It's powerful and strong, and downright catchy. But it's a standout track on the album because of the lyrics, the dark undertone, the gospel influence (and an amazing gospel choir singing throughout) and Emeli's vocals. Her voice always gives me serious chills, but her vocals were so incredibly mighty on this song! And it's here Emeli expresses her pain openly for the first time on the project. She knows she's a strong girl, but she admits shes "not made of stone," and the end of their relationship, though she still deeply loves this man, is devastating to her. What did you think of Long Live the Angels? Weigh in below!